Don't spray anything unto the mig wire. 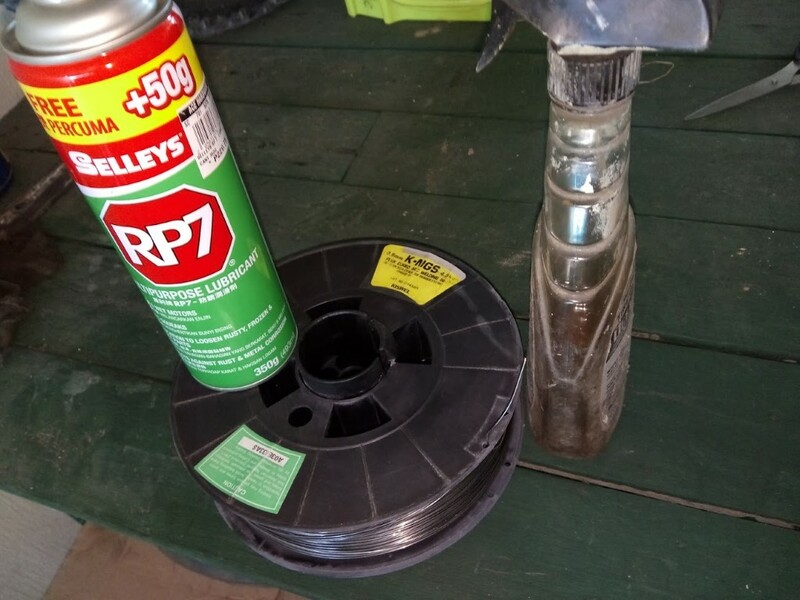 Keep always mig wire dry free from rust. Beware rusty mig wire often easily damage the liner. Store the mig wire inside plastic bag with absorvent pad or silica gel from dry place away from moisture. but i made this oil stripper that goes before the drive roller. it's just cotton soaked in naptha (lighter fluid). strips the wire of oils. 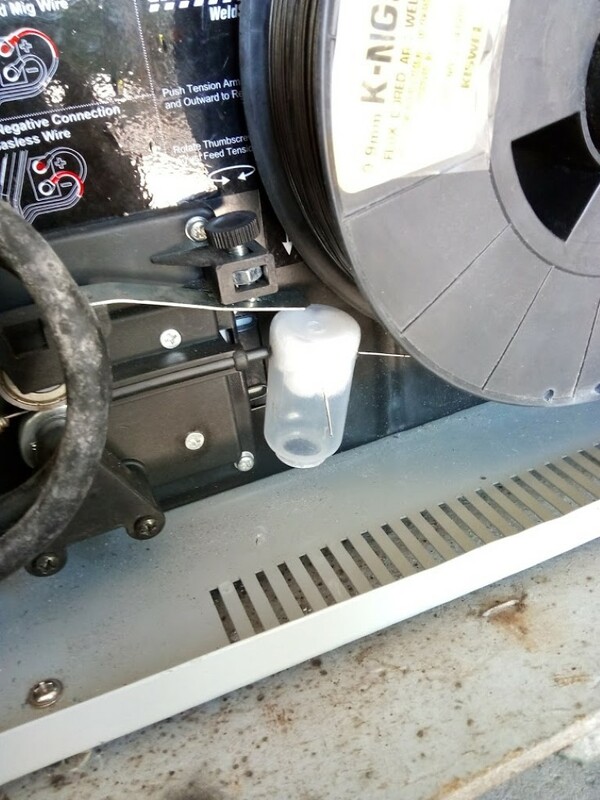 You've got a good idea for stripping the wire before passing unto the drive roll. That help a lot in anyways. Your using a flux cored quitely expensive hehehe. What was the price for it? Have you try using solid wire with mixed gas? Last edited by Crazy cut; 02-07-2017, 11:07 PM. kiswel k-ngs 4.5kg. i got it for P2850. mahal ba? i'd love to try MIG but i don't have shielding gas... not yet at least hahaha. my cigweld 135 is already capable of gas. i just need regulator, gas tank, and solid mig wire. Madali pa namang kalawangin ang fluxcore wire dahil wala syang copper coating like solid mig wire..
ako ang ginagawa ko sa ziplock ko inilalagay na may kasamang silica gel..nag aabsorb kasi ng moisture ang silica gel..
OT. Can someone point me to the long thread/post about MIG welding machine. Gusto ko malaman minimum specs na okay occasional use. I have been using a stick welder for the past 10 years. Thinking of buying another welding machine. Flux cored for P2, 850 was quite expensive. If you can purchase gas tank and regulator do it. For solid wire 5 kgs you can buy P700 or less and for 15 kgs the price is P1,250. 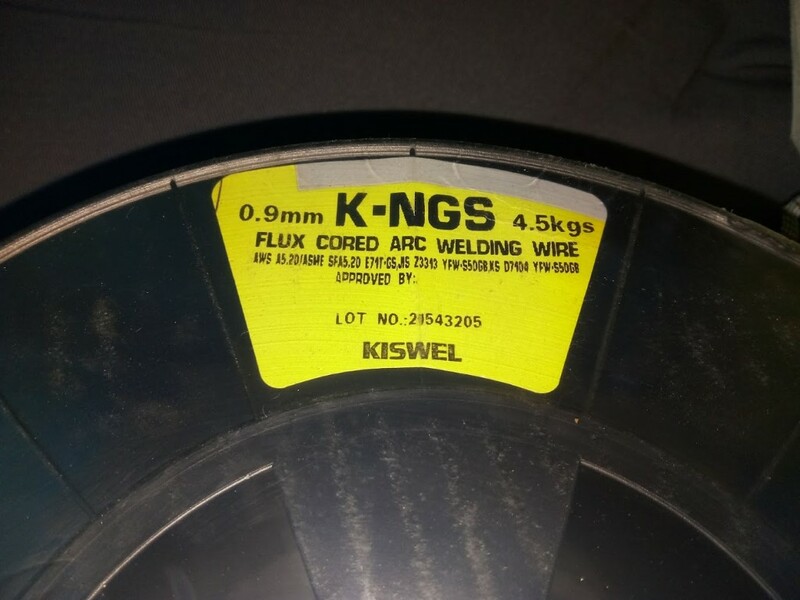 If you're planning to acquire mig welding machine go with Cigweld 150 a lot of this stuff posted in OLX. This will match to your need. But if your really in to it for a heavier punch go with 200 amps or more. bro you have an idea how much a gas tank & regulator costs? mura lang din co2 diba?